For fans of vintage things, there’s an undeniable thrill in bringing something back to life. A joy in having the ability to help preserve something that’s stood the test of time. A distinct sense of pride that a piece of history, no matter how big or how small, will continue to delight for many years to come. 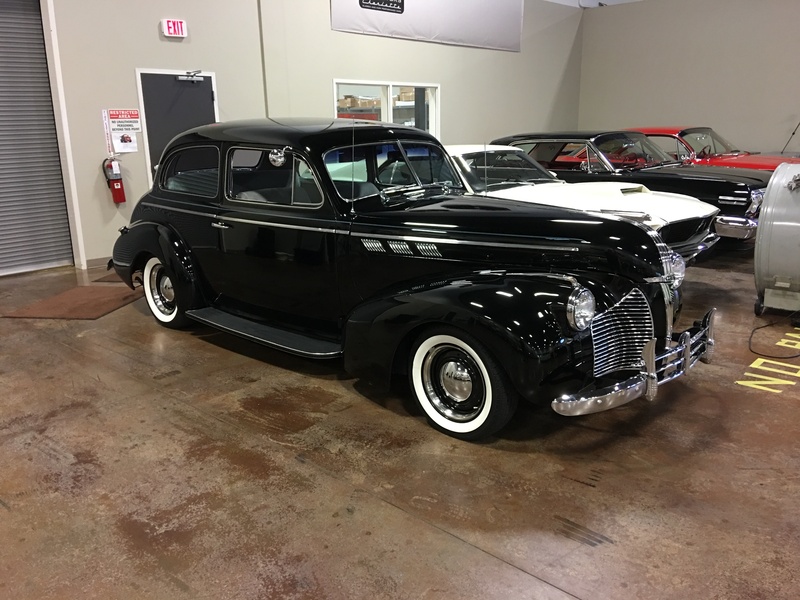 While that might be a highly romanticized take on car restoration, it pretty much sums up how the RKM Performance Center relates to this cool Pontiac resto-mod. Parked for close to 20 years, this classic rolled in to our garage under simple guidance: make it run and make it reliable. Since it was pretty obvious this Poncho had been restored at some point, and likely retired to weekend duty after that freshening, we decided to try and salvage most of its mechanical components through rebuilding and resealing. But, as all car enthusiasts know, restoration is an unpredictable art that can turn fickle in an instant. Work began under the car because, well, that’s where the worst stuff tends to hide, and a functional powerplant isn’t worth the metal it’s cast from unless it can put power to the pavement. After servicing and a full reseal, the Turbo-Hydramatic 350 3-speed was as tough and reliable as ever. 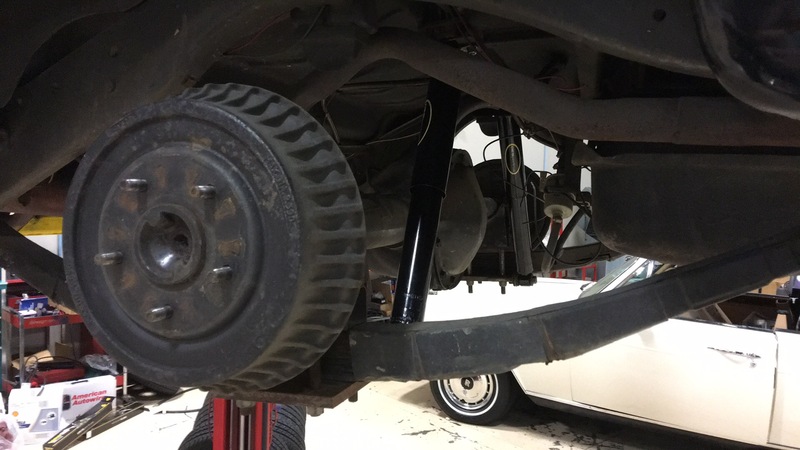 The modified suspension built around that gearbox was thoroughly inspected and fitted with fresh Monroe Sensa-Trac shocks. New differential fluid joined new fluid lines and a replacement for the car’s worn out power steering pump. And we cleaned up the sights and sounds with a factory-style exhaust system. Unfortunately, that’s where the rebuilding ended and the replacing began. In the name of safety and reliability, a new fuel system was a given. And we went ahead and shipped the rare radiator out to be patched and professionally re-cored. 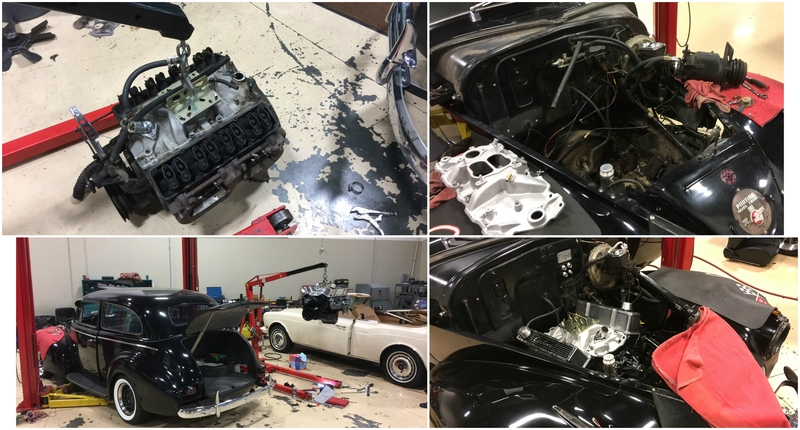 What we didn’t count on was this Pontiac’s engine transforming into a boat anchor that might sink the project’s chances of sailing on time and on budget. Upon closer inspection, it appeared the stalwart 350 was a direct transplant that probably hadn’t been rebuilt during the aforementioned restoration. Naturally, phone calls had to be made and, after careful consultation with the sedan’s owner, we placed an order for a fresh GM crate motor. 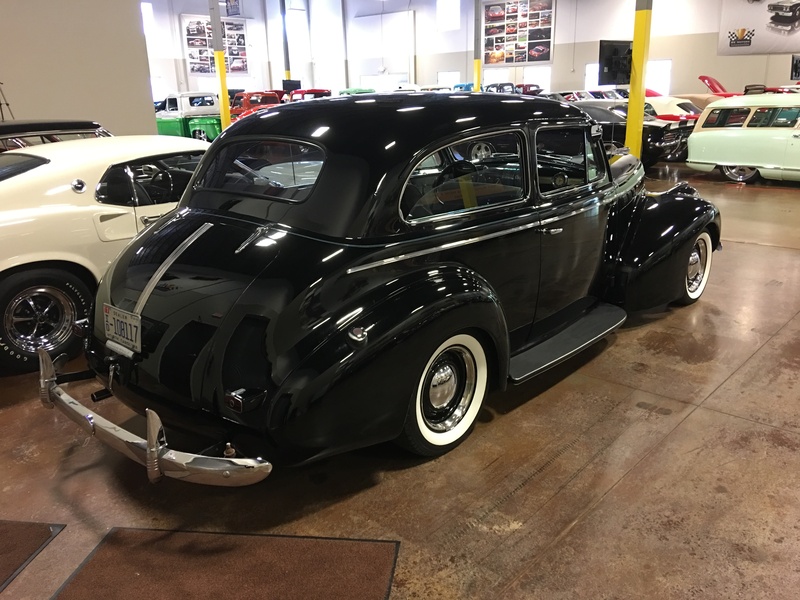 Once the new 350 arrived, the plan was simple: hook up a fresh Holley carb, string new hoses and belts, and thread everything to a fresh harness from American Autowire. 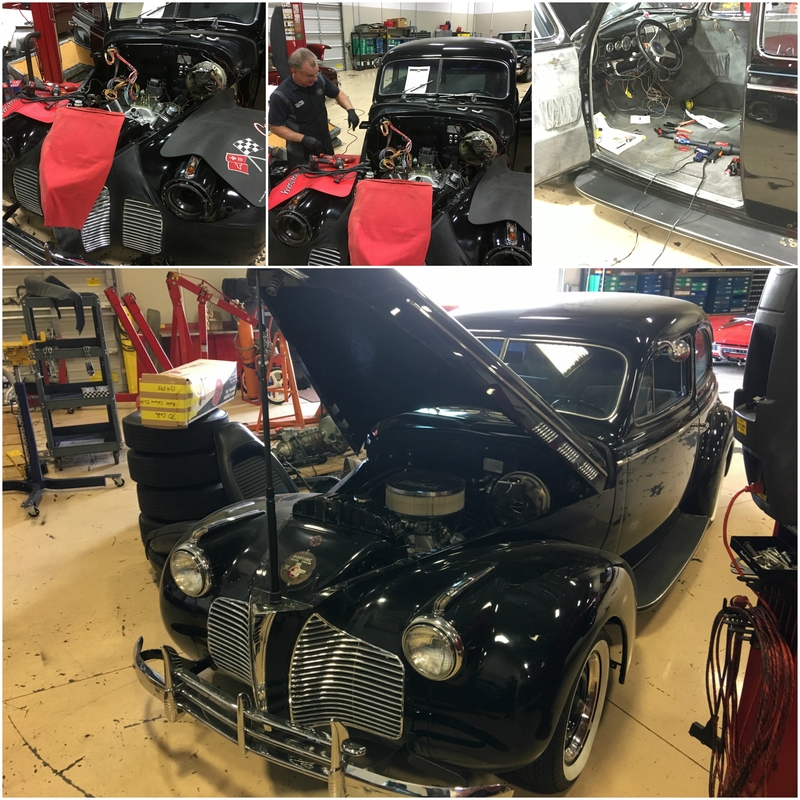 It wasn’t long until we had this Pontiac sorted and ready to roll. That’s when the car’s owner decided to add a few choice mods to round out the build. Stainless-trimmed Hot Rod Hank’s steelies, complete with wide whitewall tires, provided a nice update to timeless aesthetics. 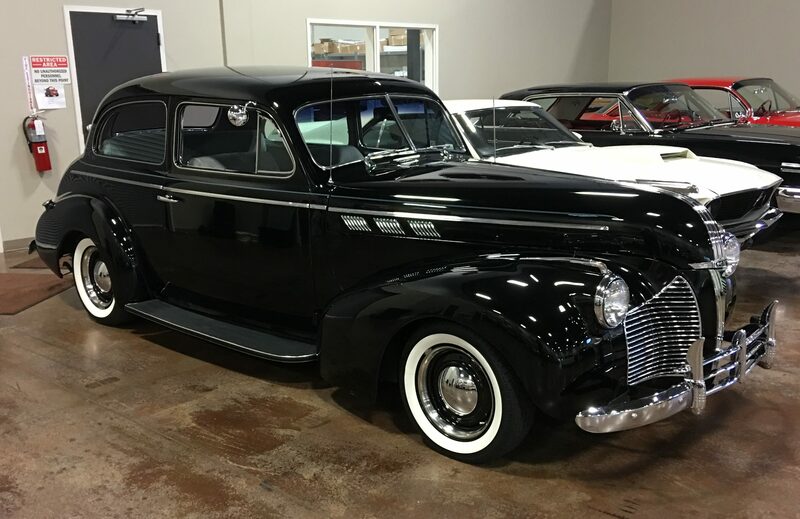 Vintage Air conditioning, complete with custom routed hoses, transformed the car into a comfortable summer cruiser. And upfitted seatbelts provided increased safety for occupants. For most folks, being an automotive enthusiast involves an innate appreciation for the past. Admittedly, not everyone is as enthusiastic about restoration as we are. But one thing is certain, everyone loves seeing a 77-year-old classic cruise down Main Street. Got a piece of Motor City history you want to bring back to life? 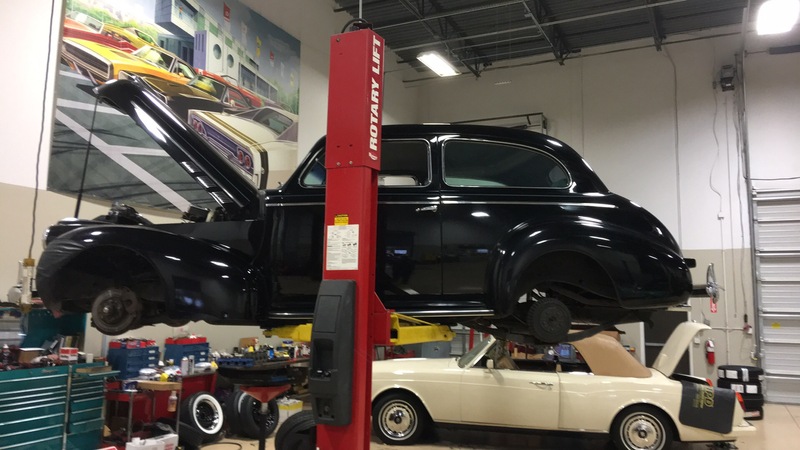 Resurrect it with the talented staff at the RKM Performance Center!